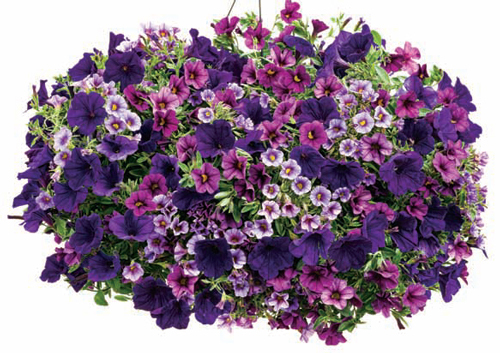 Our ‘Showstopper'™ Proven Winners® Combination is for the person who absolutely loves purple! The Superbells® Plum and Miss Lilac are both fitting accents to our Supertunia® Royal Velvet, all purple flowers with distinct personalities. The plants in our 'Showstopper' Flowering Combinations are grown and shipped in fine quality growing medium and are guaranteed to arrive alive and ready to thrive.